My role is that of a Sergeant on the response section, we are one of 5 teams who provide Police cover 24 hours a day, 365 days a year. We are the first responders, when you require Police in an emergency, to report a crime or the relatively minor stuff we are usually the ones who are first there, we deal with pretty much everything you could imagine. Everyone on different departments likes to think their job is the best, that is very much true of how I feel about life 'on response', I love the variety of it and the challenges it throws my way. I come to work each day and I have absolutely no idea how the day will play out. I could have a slow day, dealing with lots of admin and low level crime to deal with or in a few minutes I may be in command of a major incident such as a serious road accident, a violent crime, a large fire or even an aircraft emergency. In my service I have dealt with pretty much everything you could imagine, the nasty, the evil, the sickening but also the kind, the helpful & the compassionate (which always outweigh the bad). The first response to almost every incident, large or small, often has a major impact on the following investigation so it is vital we do the best job possible every time. 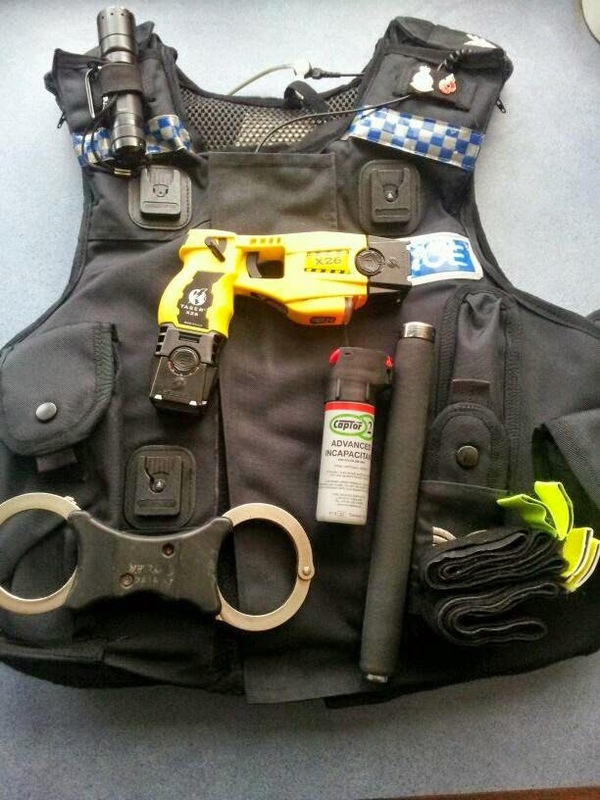 Arrive at work and 'kit up', draw Taser, change radio battery, put on body armour, I am now 16-18lbs heavier than when I walked in the door!! Handover from the early shift sergeant, we discuss the incident logs & tasks outstanding, missing persons, any domestic violence suspects outstanding and a few other relevant items. I log on to the computer and quickly scan my emails for anything that is relevant to the team briefing, I book my team on duty. Briefing for my team, each officer allocated a call sign and tasks. We go through the electronic briefing system, identifying important information and intelligence. There is intelligence a vehicle has been seen in suspicious circumstances near a local industrial estate. The description is passed around and one officer tasked to keep an eye on that area this evening. One officer allocated a 'medium risk' missing person, (medium means there is some risk of harm but it is not an immediate risk). The missing person is a 15 year old who has run away from foster carers (not for the first time) and is deemed vulnerable because of their age. A number of friends are identified and the officer will be contacting these people to try and locate the missing juvenile. Other officers are given tasks to complete during the shift, including a service of a summons for a road traffic offence. We take over the cars from early shift, I now get back in front of the computer and trawl through the 20 or so emails, some I delete immediately as irrelevant, others can wait until later and one or two require immediate attention. I have a request for a statement from CPS in relation to an arrest a colleague made a few weeks back, I check my notebook and type up my statement, there is very little I can say and it is just half a page in the end. I then log on to the crime system, check if any crimes need allocating, there is one public order offence which I review, I update the record with my comments and an initial investigation plan. I email the officer to let them know they have been allocated the crime so they can contact the victim and let them know who is investigating and what to expect. I log on to the missing person system, I update the record for the 15 year old to show the officer allocated to investigate, I review the record once more to check all possible leads have been identified and dealt with or tasked. Whilst the youth may have run away there is still a risk to them and we have to do everything possible to ensure their safety. Two of my officers were late off last night, I log on to the rostering system and update their records to show they are owed time. Most of my admin tasks are now complete, I do a final check of the command and control system and review the incidents, I not only look at things happening in Newquay (my area) but the towns surrounding us too. If they are busy or something serious is happening it may impact on us & I can be prepared. Nothing too much going on so I head down to the car & load up my kit, I check the car over (FLOWER - Fuel, Lights, Oil, Water, Electrics, Rubber!) & all the car kit is correct. In the car I set the car radio to the area bordering us and my personal radio is on the local channel, I set off on patrol. Not much happening so far, I have stopped a couple of motorists, one for using a mobile phone who has been reported for the offence, the other was given words of advice for some poor driving. My officers have had a couple of minor jobs, a couple were sent to neighbours having a fall out over a boundary dispute which got a bit heated. All quiet on arrival and advice given all round, no criminal offences. 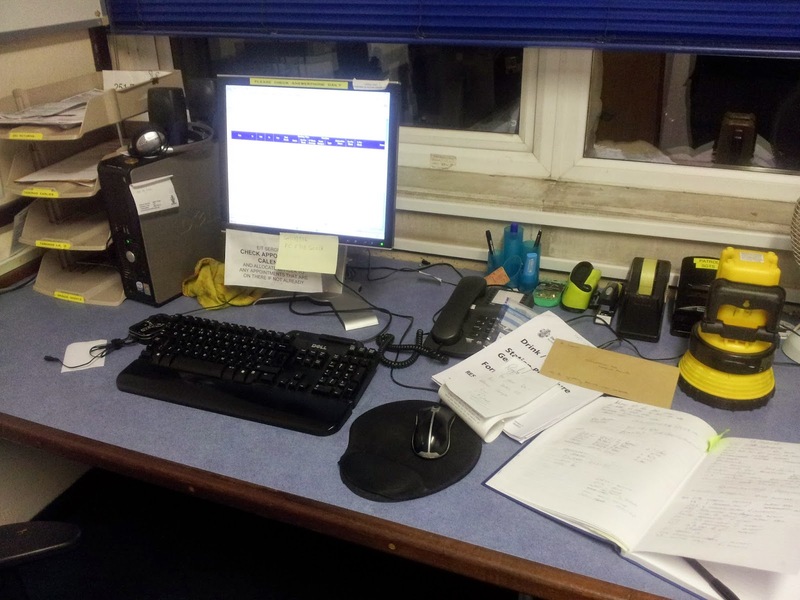 Back at the station I check the crime recording system again, no new crimes requiring allocation to my team. I check an incident log my control room have asked me to review, after reading the incident log and checking out the information I make the decision the matter is not for the Police to deal with and it can be passed to another agency for follow up in the morning. 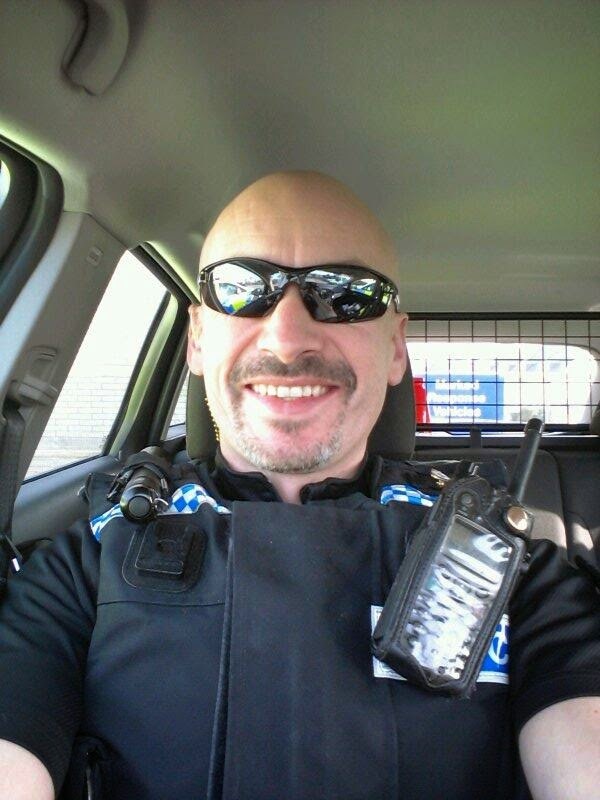 Back out on patrol, on the car radio I am aware that the west of the county is quite busy when I hear them tasking a unit to attend a report of a young missing child. One of my 'skills' is that I am trained a a 'Lost Person Search Manager', I coordinate searches for high risk vulnerable people. With a child missing time is of the essence, the most likely scenario is they have wandered off but worst case they could be in danger. The quicker I get there the better and knowing resources are tight down West rather than waiting to be called I offer up my services. My offer is accepted and I head towards, blue lights & sirens on I have a 30 odd mile journey along some awkward roads. Whilst heading towards I am listening to comms sending more resources towards, I call up and add a couple of tasks I want carried out straight away, including the home address searched thoroughly. You would be surprised how many kids are found hiding at home!! 18:55 I am halfway there when I get the call the child has been located by family at a friends house safe and well, I turn all the warning equipment off and stand down. The 'blue light run' is very draining, you are constantly looking ahead trying to think what other drivers will do, if they have seen you, how they will react. Far too many people either do not use mirrors or panic which makes emergency driving very hard. I am just going to head back to my patch when I am asked to attend Camborne town centre, there is a report of a male behaving strangely & walking around clutching a piece of broken glass. There are no local units free and I am closest, a nearby ARV (armed Response Vehicle) is also sent, not because they are armed but because they are close and we need at least a couple of us in case it goes a little 'bendy'. I am in Camborne town centre, the call was anonymous and there have been no further calls, I park up and walk around the area. The ARV crew were on scene first and also searching around. There is no one acting strangely or holding broken glass, no one approaches us with any concerns so after a little bit of searching we clear, 'Area Search, No Trace' is the term we use. 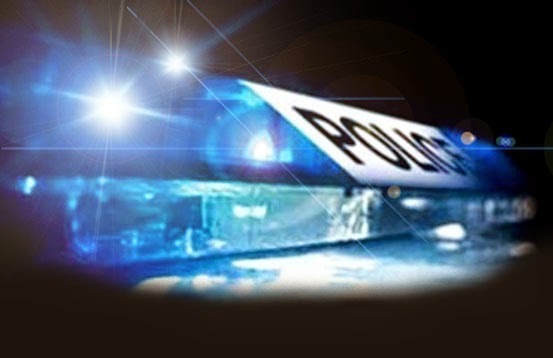 Heading back to Newquay along the A30, a report of an accident Near Newquay, two vehicles have collided, we have no updates on any injuries or if the road is blocked. This could be a simple shunt or a serious accident, I am not far away and head towards. My first unit is at the scene, luckily it is a minor shunt but one lane is blocked, I arrive a few minutes later and direct traffic whilst my colleague completes the paperwork. An ambulance crew is on scene and has checked both drivers over, no injuries other than shock. The cars on the other hand will be going nowhere, both have considerable damage. We arrange for a local garage to recover both cars. 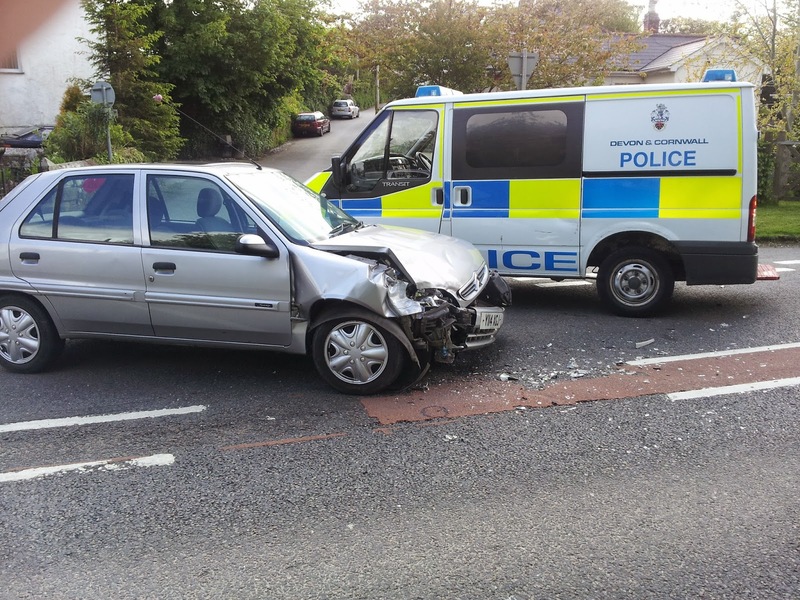 Both drivers are breathalysed, luckily they both pass. Both vehicles are now recovered and the road cleared, this one will be for the insurance companies to decide who was to blame. No obvious offences for us to prosecute. 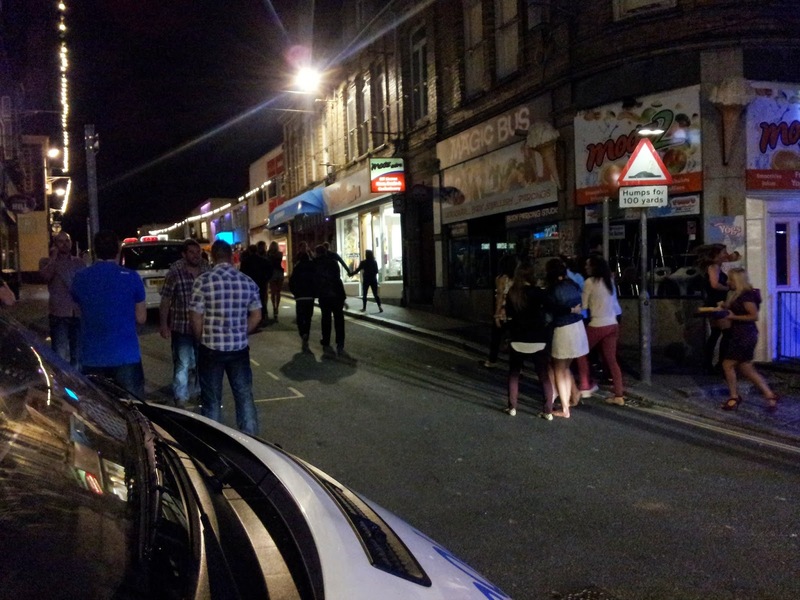 Report of aggressive drunk male in Newquay town, locate male who is with a group of friends and is not happy door staff have declined him entry into their establishment. On our arrival he is belligerent but not aggressive with us, my colleague strikes up a bit of a rapport, a nice calm friendly approach. He understands it is their stag night but explains the level of behaviour is not acceptable. He advises they take their friend back to the hotel and let him sleep it off, why ruin a stag night by getting arrested? The approach works, a couple of the drunks males friends get him in a taxi and head off. Back to the station, hand over to my night shift colleague, give him all the relevant updates. Back on the computer, check the crime system, allocate a couple of crimes for my officers to investigate. Check the command and control system, ensure there are no other incidents requiring an update from me. Ensure all task allocated to my team have been done. 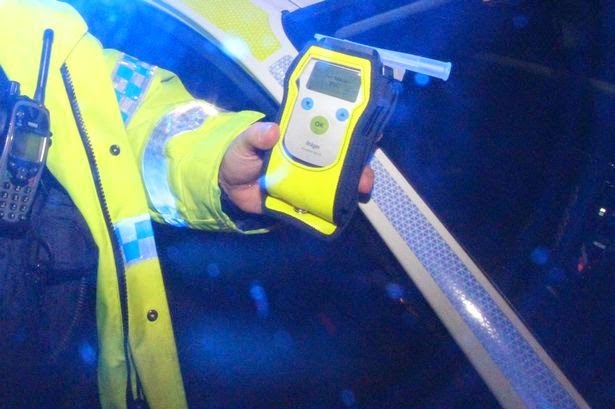 Report of a suspected drink driver , member of the public reporting a car driving erratically, head out to assist night shift search for car. Night shift officers have located the car, stopped it and the driver is under arrest on suspicion of drink driving. If convicted they face a long ban and a fine. Worst case they could end up seriously hurting or killing someone, never understood why people take the risk? Patrol of the town centre, there are a few people out, the summer season is almost upon us, I park the car up and go on foot patrol. There are the usual requests from the stag & hen parties for a photo which we tend to go along with. Every so often someone is seen with an open bottle of alcohol or a glass of beer in their hand walking around. This is not allowed so we have a quiet word and take it off them and dispose of it. 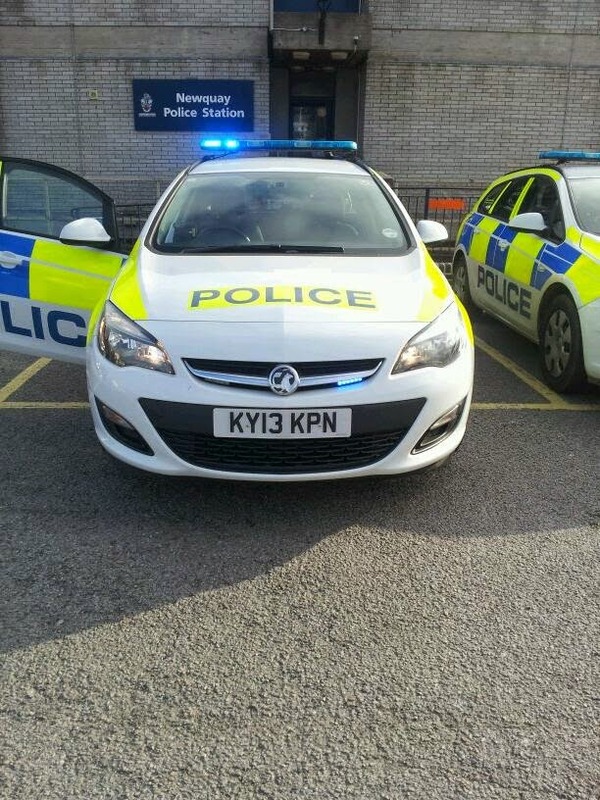 Back in to the station, check all my officers have nothing outstanding to do and send them home. I have finally taken all my kit off and go off duty. This is a typical shift, not everything described happened on this one night, I have mixed it a bit to ensure nothing identifiable! 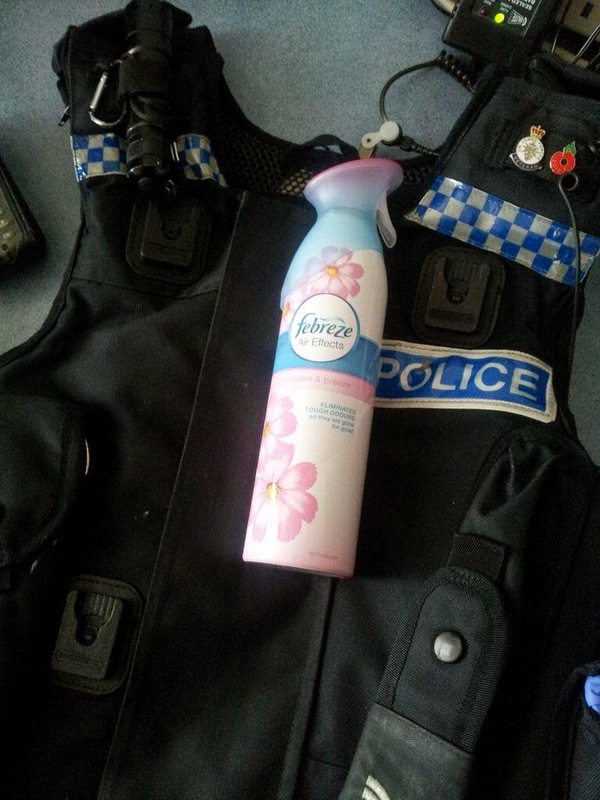 This is typical of a shift for officers across the country day in day out. Some will be a lot busier and more manic some quieter! Hopefully it gives a good idea.